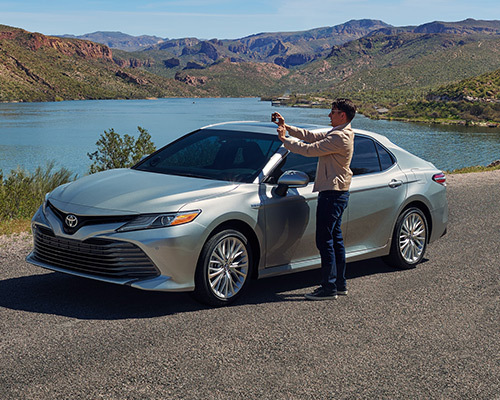 As the most in-demand vehicle in America, Toyota’s recent Camry has been lowered, widened, and lengthened to create the sportiest design of this car thus far, all while the inner workings have been revamped to make driving a midsize automobile surprisingly fun. The revitalized look and elevated inclusions will have all of the other automotive manufacturers struggling to outdo the eighth edition of Camrys, which continue to be untouchable when it comes to reliability and performance. Show up in a striking, attention-grabbing manner with the flowing curves, chiseled shape, and sleek lines of Camry. 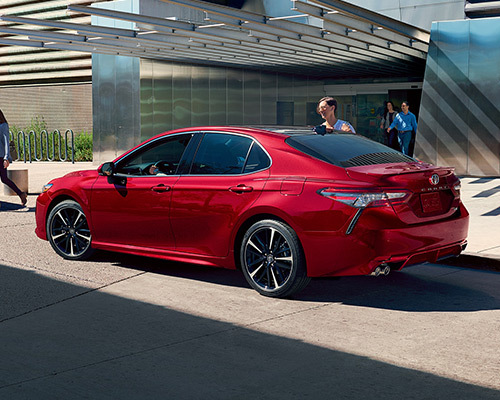 There are several ways to tailor the external look and cabin, so buying or leasing the ideal Camry for any daily regimen is simple at Westbury Toyota. As a place to get going, go ahead and take a look at a few of the trim levels we have featured down below. Feel the force of 203 horsepower (hp) created via a 2.5-liter (L) Dynamic Force four-cylinder motor or 301 hp supplied by the even more dynamic 3.5-L V6 in the renovated Camry. Whether you are visiting local haunts in Westbury or visiting destinations throughout the nation, you can expect supreme handling and a comfortable ride thanks to the D-4S direct-injection system, independent strut-front suspension, and double-wishbone rear suspension that optimize your driving experience for the current surface. Leveraging hotspots for up to five smartphones in your vehicle and returning your battery to 100 percent is quick with the optional Wi-Fi Connect and Qi-enabled charging program. Added optional features that focus on buyers and leasers include an eight-inch (in.) display infotainment system that uses Entune 3.0, a seven-in. color Multi-Information Display (MID), and 10-in. Head-Up Display (HUD) that helps you review assorted information on the Camry's windshield. Whether you are a technology wiz or new to the online landscape, it is hard not to find yourself dazzled by these awe-inspiring modern inclusions. Cruise in complete comfort with optional driver’s and front passenger seats you can set six to eight ways, the optional panoramic glass roof that comes with a power-tilt moonroof, and a leather-adorned steering wheel. Going a step beyond, improve the sound and directional capabilities of your L, LE, XLE, or XLE V6 when you opt for bundles of audio and navigation systems. The SE, XSE, and XSE V6 certainly make a statement with evocative designs that pull unique accents prompted by the catamaran, an eye-catching black front grille featuring a sport mesh insert, and machined-finish alloy rims in head-turning black. Take the panache and allure factor to a new level with the roof, side mirror, and rear spoiler in the distinctive color of Midnight Black Metallic. Some automobile shoppers are serious about decreasing their impact on the planet and saving money on gas. Hybrid LE, Hybrid SE, and Hybrid XLE yield up to 53 expressway miles per gallon (mpg) calculated by the EPA for superior fuel economy. Power is also upgraded by way of a combination of the Dynamic Force Engine developed by Toyota and the automaker's battle-tested electric motor. In addition, you remain in absolute control using the three traveling settings — Normal, ECO, and Sport — accessible by simply pressing a button. This degree of power combined with as high as 41 mpg grants you the perfect blend of performance and gas economy. For drivers in Westbury who place an emphasis on being eco-aware to the same level that they do on taking pleasure in the finer things in life, it is hard to go wrong with this kind of gas economy and control working for you. One of the most impressive grounds for purchasing or leasing a Camry from Westbury Toyota is the fact that you will never have to fret again over locating your Camry in a crowded parking garage. If your new Camry is on loan to a family member or you cannot remember where you parked, activate Remote Connect to view and locate it. For those of us here in Westbury who dread roaming about the parking lot in vain as you look for your automobile, having this kind of cutting-edge functionality at your disposal can undoubtedly be a lifesaver. Westbury Toyota's selection of Camrys is just as able to wow even the most discerning of automobile buyers in the cabin as they are on the outside. To drive this point home, all you must do is take a peek at the Camry's remodeled optional eight-way powered seats (complete with leather trim), ventilated back seats, ample leg room, and plenty of additional premium upgrades located in this car. In essence, incorporating a bit of the good life into your everyday routine starts and ends with a striking, alluring Toyota Camry from Westbury Toyota sitting in your garage. Awarded five stars for total safety by the NHTSA, Camry’s latest configurations come loaded with 10 air bags for a more secure situation inside the cabin. The safety of you and your passengers is reinforced through available high-tech highlights, including Blind Spot Monitor (BSM) that alerts you when a vehicle appears in your blind spots, cameras positioned on the front, side, and back for a bird’s-eye view from above, and Intelligent Clearance Sonar (ICS) to make you aware of nearby automobiles and pedestrians. Additionally, you have the ability to lock and unlock the front doors swiftly and push a button to start the engine by making use of the optional Smart Key System. 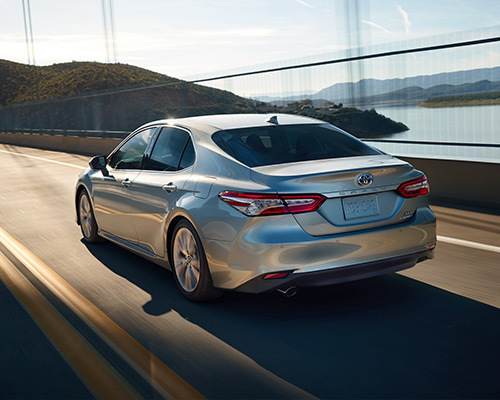 Any time Toyota combines an abundance of safety inclusions with enhanced performance, greater fuel economy, and handy tech features, it is easy to see why Camry continues to earn the distinction of being the best-selling car in America. 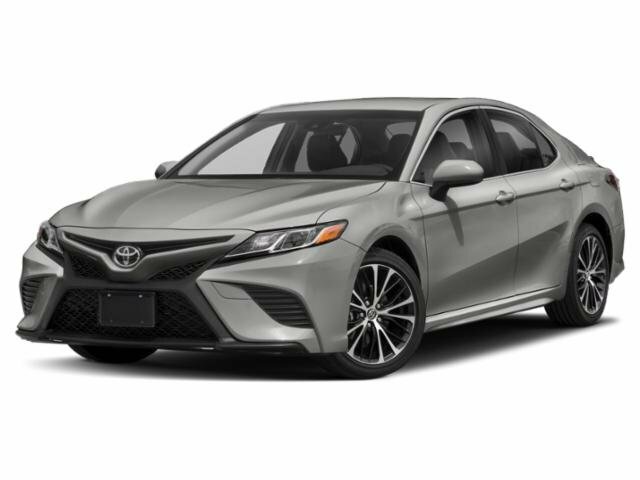 Visit Westbury Toyota in Westbury NY to buy or lease your very own Camry and take pleasure in driving an extremely reputable, stylish vehicle.